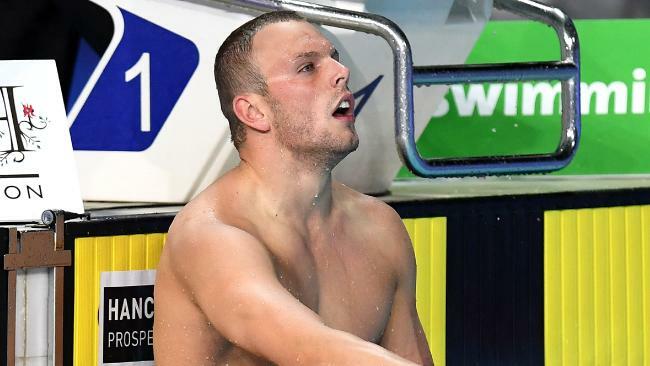 KYLE Chalmers says winning the 200m freestyle at the Commonwealth Games trials gave him a "shock" but he's not about to ditch the blue riband 100m as a result. Chalmers set a personal best time of 1min46.49sec to take the national title ahead of Mack Horton (1:46.76) and Alex Graham (1:47.13) in a time that ranks second in the world this year. It's an event the South Australian teen says he's "probably more suited for" but he's not willing to risk his Olympic gold medal event for it just yet. "At this stage, (the 100m) definitely is my main race," Chalmers said. "The 200m was a fair bit of a shock for me. "I'm probably more a 200m freestyler. My body and how I'm cut out is probably more suited for the 200m but the 100m has always been my main focus. So now I have to assess and see how this meet pans out for me and see if I start focusing on the 200m. 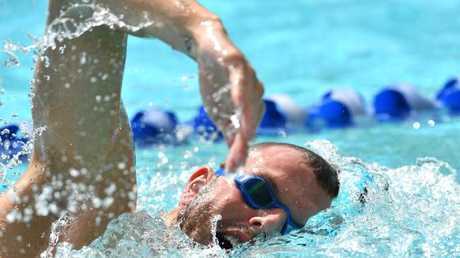 With the 200m on the second day of the swimming program on Friday, Chalmers welcomes the chance to "blow out the cobwebs" before the heats of his main event the following day. The South Australian is one of many swimmers around the world taking inspiration from American world champion Caleb Dressel and his multiple talents. "I remember speaking to (London Olympic champion) Nathan Adrian last year in Rome and saying: 'What does Dressel do?'" Chalmers said. "And he trains for multiple events. At college you have to be able to swim a minimum of three events to be on a team, so that for me sticks in the back of my mind. I know if I want to be up there with those guys, I've got to train for multiple events and I guess if I'm training for the 200m, my fitness is going to be up and it's going to better my 100m back end. But the hardest part is going to be the relays and backing up. " And Chalmers won't have things all his own way in the 200m, with distance king Mack Horton committing to swim the four-lap event after toying with the idea of ditching the individual swim to focus on the longer races. Chalmers said he was "shocked" to hear Horton had committed to race the event but pleased nonetheless. "I was pretty shocked I guess (when I heard he was doing it at the Games) because I thought he wasn't going to do it individually but to have him there is awesome," he said. "We're such great mates and I can't wait to have him in the marshalling room with me at a big competition because it does take that stress away if you've got a mate with you in the marshalling room. "He's an amazing 200m freestyler and I reckon he can go even faster than he did at trials, so it'll be interesting to see how he goes. "Hopefully we're near each other so we can race off each other."